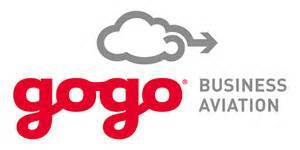 Gogo Biz is a major advance in broadband technology. It’s the only aviation system that gives you Internet and voice with equipment small and light enough for virtually any aircraft. And with available financing, as well as other offers such as our Data Bundle Discount, getting connected is now more affordable than ever. You can surf the Internet, send and receive email with attachments, and log into your corporate VPN using your own laptop, smartphone or tablet. •Data: It lets you surf the Internet, send and receive emails with attachments, and log into your corporate VPN using your own laptop, smartphone and tablet. •Voice: Gogo Biz voice service provides crystal clear phone calls via our exclusive air to ground technology. The best part? If you have Gogo Biz Internet service, no additional hardware is necessary – just activate a service key, and you can enjoy business aviation’s most advanced voice technology. •Gogo Text & Talk: Use your own phone to send and receive both calls and text. It’s as if you never left the ground. •Gogo OnePhone: It’s the latest in cabin handsets – featuring a large touchscreen display, advanced noise reduction technology and more, all running on an Android platform.